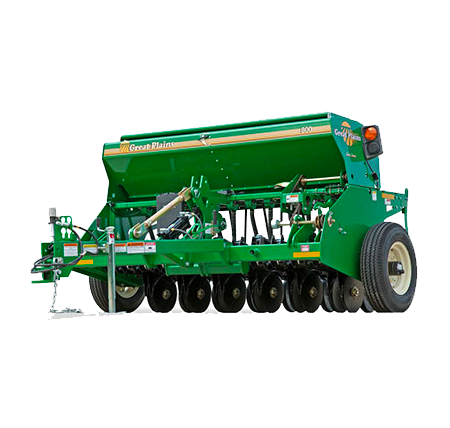 Our Great Plains 8′ (2.43m) Min-Till Drill (800) uses the field-proven 00 Series Opener to properly place seed. 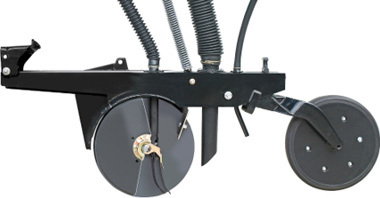 This rugged opener utilises 13-1/2″ (34cm), 4mm thick disk blades with 205 triple lip seals for long life. 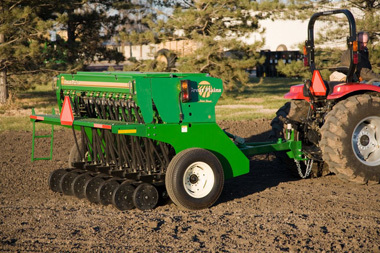 It also features full length seed tubes and an 18-position T-handle press wheel to precisely control depth. Changing the 5-position, centrally located down-pressure adjustment is quick and easy, ensuring the correct pressure regardless of the conditions. Other features include a 1-3/4″- (4.4cm) wide fluted feed metering system. 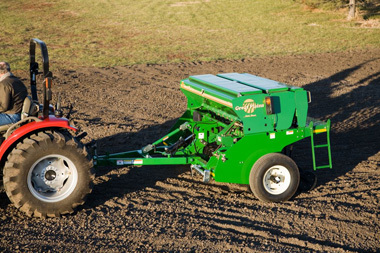 It utilises a 4-speed gearbox and adjustable gate opening to accurately set a wide variety of planting rates for seeding crops from alfalfa to peas. 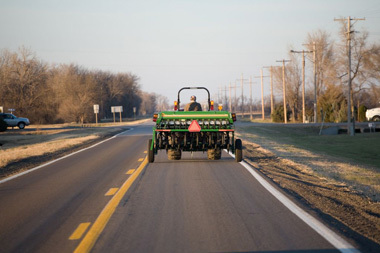 A dry fertiliser and a small seeds attachment are standard equipment for Australian conditions. 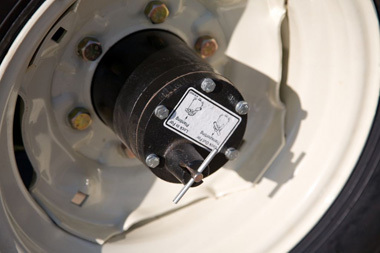 Lockout hubs free the drive component system during transport. 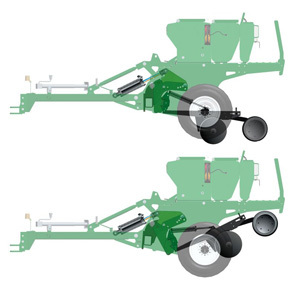 Safety lighting, electronic acre meter, lift cylinder with hoses, calibration crank, V-bottom dividers for easy cleanout, a folding tongue and agitators inside the seed box are all standard equipment. 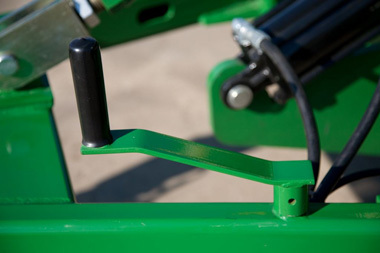 Tractor hydraulics raise and lower the openers quickly. They also apply static down-pressure to the row units.